Mission: Impossible III is the third film in a series of Mission: Impossible movies. 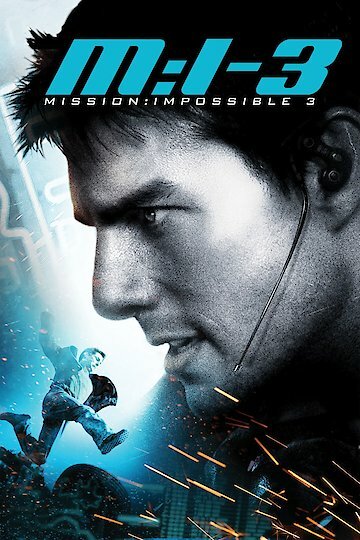 The main character in this movie, Ethan Hunt (played by Tom Cruise) has retired from active service with the Impossible Missions Force (IMF). He has decided to settle down with his fiancee Julia (played by Michelle Monaghan), who is a nurse at a local hospital and is not aware of Ethan's past. Although Ethan now trains new recruits instead of actively working missions, he is contacted by an agent of the IMF to work a mission that involves rescuing a newer agent, Lindsey Farris (played by Keri Russell), that Ethan trained. Lindsey was captured while working an investigation against Owen Davian (played by Phillip Seymour Hoffman). Ethan and his crew are able to save Lindsey and in the process, recovered some information that would lead the team to Davian. The team makes their way to Davian's location to capture him and recover an item that Davian is after, called the "Rabbit's Foot". However, now that Ethan is completely involved in this case, there are questions as to who he can trust, not being sure he can even trust his superiors. Mission: Impossible III is currently available to watch and stream, buy on demand at Amazon, Vudu, Google Play, iTunes, YouTube VOD online.